Ever since I saw the Ghostbusters movie, I wanted to try Stay Puft Marshmallows. Boy was I disappointed when I found out it wasn't a real thing. 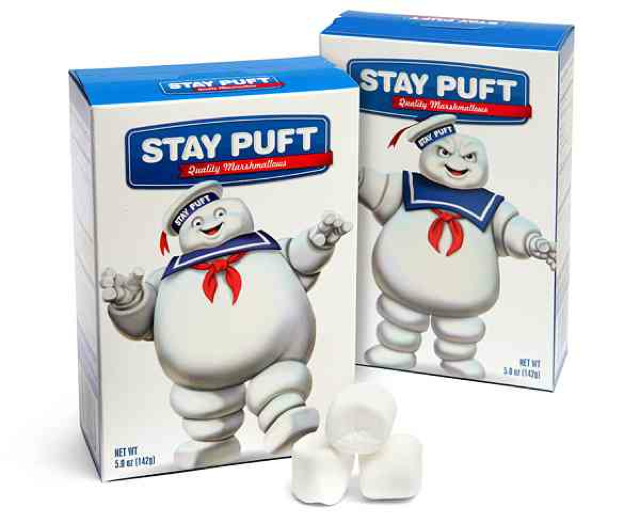 Now thanks to ThinkGeek you can actually buy Stay Puft Marshmallows. That's pretty cool. Ghostbusters seems to be a recurring theme this week: if you are in New York City, don't forget to take the Ghostbusters tour. And for anyone interested, Ghostbusters has a pretty cool website. You can check it out here. Written by: Katie Shew at 1:25 p.m.